The 10 meter telescope and Dark Sector Laboratory (DSL). 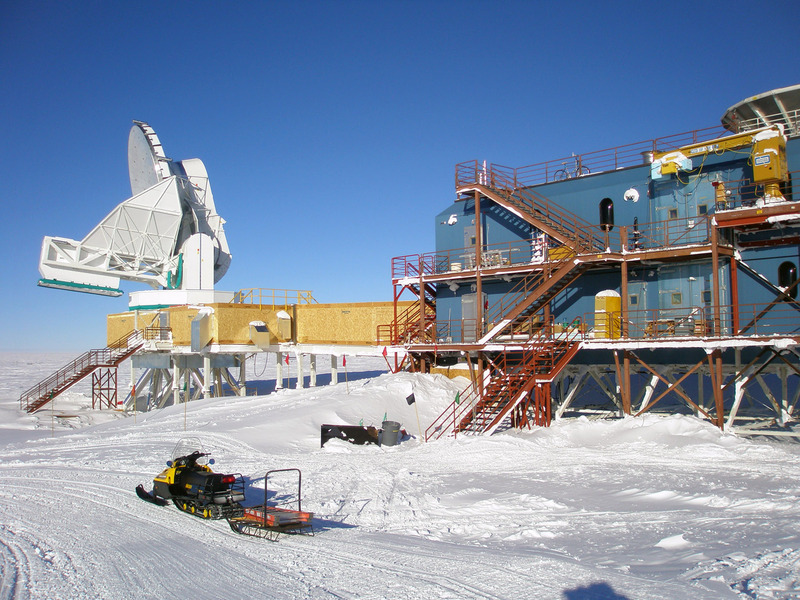 If you have read Phillip Pullman's "His Dark Materials" trilogy, you might be concerned about research into Dark Matter at the Pole - but that is exactly what the 10 m telescope (a.k.a. South Pole Telescope) was built for.